The election of Sri Lanka Freedom Party’s (SLFP) renegade Maithripala Sirisena as the 6th Executive President of the Sri Lanka and the formation of a government under the moderate Political leader, Ranil Wickremesinghe of the United National Party (UNP) as the 17th Prime Minister augers well for the country. The unexpected coalition and the marriage of convenience offers the best prospects for Sri Lanka to bring forth good governance, rule of law, minimize corruption and speed track reconciliation amongst its people after a decade of misrule. Sri Lanka, under the Rajapaksa Presidency slid down to its worst levels in history, in maintaining Law and Order, Independence of the Judiciary and Police, Violation of Human Rights, Corruption, Nepotism and Militarization of civilian activity could be listed as the main reasons for the administrations defeat. The voting patterns of the minority communities indicate the fear and contempt in which they held the Rajapaksa regime for not taking the opportunity for true reconciliation after the war victory in the North and East, and the hate campaign undertaken with impunity by Buddhist extremists on the Muslim and Christian population in the country. The majority of Sri Lankans voted for a change, and the change now needs to be given a chance. The demand by the local Tamil population and their diaspora for a commission of inquiry in to the excesses of the war, especially the final stages in 2009 is justifiable if true reconciliation is to be cemented. 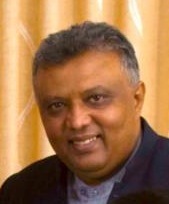 The demand by the International Community through the UN Human Rights Council (UNHRC) sessions and other fora for an international inquiry could be justified during the Rajapaksa administration because of their indifference to global opinion, yet, it is important that the newfound peace and prospects for reconciliation in Sri Lanka under the new administration is given a chance by all stakeholders. The current administration, during their election campaign promised to conduct a credible domestic inquiry that would address the concerns of the Tamil population of the North and East. The Sirisena government needs to honour this pledge now, irrespective of the domestic political pressure brought about by extremist Buddhist forces of the Rajapaksa era. The real need is for a Truth and Reconciliation Commission as successfully undertaken by the South African Government under the Nelson Mandela administration. If there was forgiveness in Mandela’s South Africa for the blatant apartheid rule that started during the time of the Dutch East India rule with racial segregation in the 17th century, there should be hope for our people to reconcile. 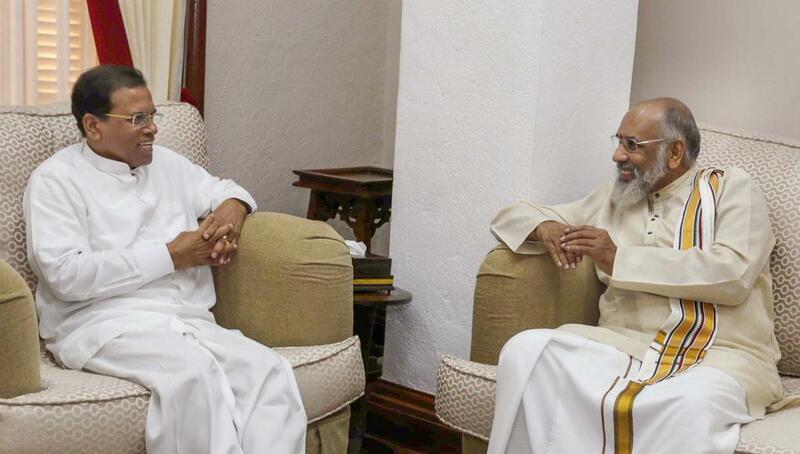 The Sirisena-Wickremesinghe nexus probably is Sri Lanka’s last chance to cement our road to recovery through reconciliation, good governance and prosperity that the ideals of our independence struggle envisioned. We are a nation that should have been one of the lead economies in the South and Southeast Asian region, yet our internal conflicts and the absolute corruption due to the war economy brought us down to be at the bottom. During independence, we were looked upon with envy by the countries in the region for the high level of literacy and development we had achieved. We probably squandered on our pre-development syndrome and continued to live in denial, as we still do about our ancient history and kings. We, as a nation messed up due to racial, political and language differences that were all preventable. We, as a nation should join hands to rebuild this country, together and move forward for our children to be proud Sri Lankans. To achieve this, we should shed our differences, begin to trust each other, look at our recent history and find solutions to our conflicts. We cannot forget, yet we should resolve ourselves to forgive and move on as all our great religions preach. Continued pressure from external elements, especially from the UN and the International Community would be manna for the racist elements that would continue to divide us. Let us try to resolve our issues amongst ourselves by giving a chance for a credible domestic inquiry as promised by the current administration prior to their election. Failure of such a domestic inquiry should be the only reason to demand for intervention from outside. Media reports that Sri Lanka’s plea to postpone publication of an OHCHR Investigation on Sri Lanka (OISL) report into alleged war crimes has been considered favourably by the United Nations High Commissioner for Human Rights (UNHCHR) Prince Zeid Ra’ad Zeid Al-Hussein. 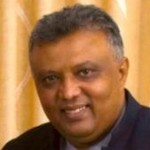 This indeed is welcome, and the Sirisena-Wickramasinghe administration should capitalize on this opportunity to immediately start the process of a credible domestic inquiry in to the alleged excesses committed by the armed forces and the Liberation Tamils of Tamil Eelam (LTTE) during the 30-year conflict. This may be our last chance for true reconciliation. The process of the domestic inquiry and reconciliation should be fast-tracked as the marathon of the 100-day government. Tamil People, Where Did We Go Wrong?